​Every session is tailored to meet each individual's or a group's specific needs. 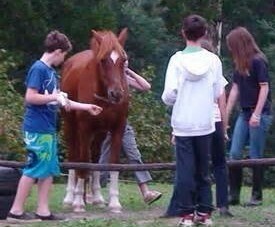 With the support from an experienced counsellor, adults and children are guided on a journey where they interact in harmony with the horses and learn to cope with past experiences, present challenges and the unpredictability of the future. 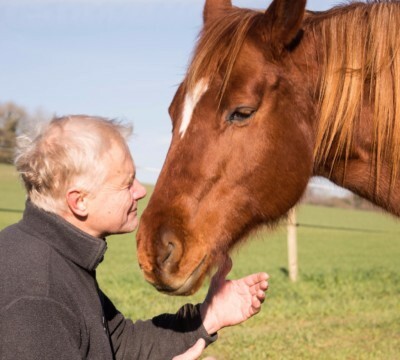 Horses just like us have their own individual personalities and sensitivities to which we can relate which is what makes them such amazing therapeutic partners and facilitators. The horses are kept, handled and ridden in very natural ways that allow them to be fully in tune with their instincts and respond in an uninhibited way towards our changes in energy. Their sensitivity is essential in the wild for survival and it is this that enables a horse to pick up on what we are feeling, then reflect it through their body language back to us. This powerful mirror of ourselves displayed in the horse enables us to learn about our own emotions and behavioural patterns. Then through trying different approaches with the horse to get them to accept us in unity, we can discover ways to make positive and lasting changes. This in turn will impact our relationships with other people and help us to lead happier and more fulfilled lives. Whether you are a business, project team, youth organisation or school we can tailor a team building day to meet your needs. Why not treat your employees or students to an inspiring day that they will never forget. Promotes the development of self-confidence, social skills and group participation. 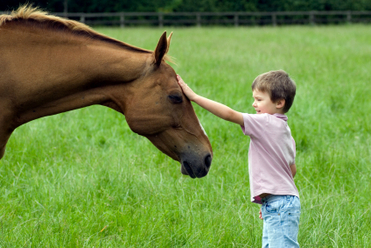 This is achieved through exercises interacting with the horses and one another. Suitable for all ages and abilities. If you are interested in exploring horse therapy for yourself, then why not sign up for a taster session with no obligation to continue. 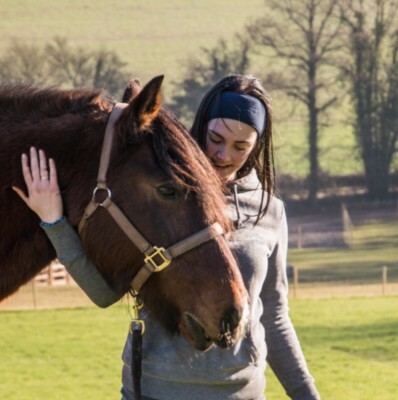 We also offer the option of a wonderful opportunity to immerse yourself in a day of connecting with the horses that you will always remember. non-judgemental relationship you build with the horses and the support from a counsellor. Particularly beneficial for adults and children who find it easier to communicate with animals rather than face to face with people. Suitable for all ages. Helps to promote emotional development and social skills. This is achieved through exercises interacting with the horses and mounted activities; these are adapted to each individual's specific requirements. 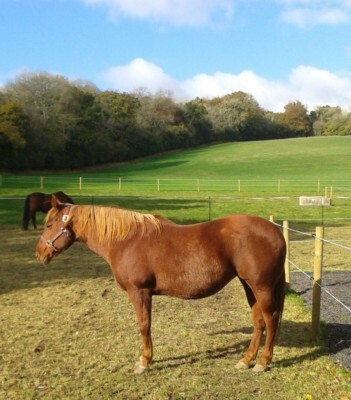 Have a wonderful break away in this area of outstanding natural beauty, nestled in the South Downs National Park, while enjoying time with the horses at The Haven. ​Walk or simply relax and enjoy the views while conversing with your counsellor. A natural way to have counselling outside at one with nature, or in the log cabin which is cool in the Summer and cosy warm in the Winter.